A bit of good news this morning as a Samsung exec apparently absolutely, positively confirmed the arrival of the Samsung Galaxy Note III on September 4th. Samsung’s unpacked event already seemed like a sure thing for the Galaxy Note III given that’s the same event the Note II was announced last year. However, this time it’s straight from the horse’s mouth thanks to Samsung’s Lee Young-hee and a conversation with Korea Times. 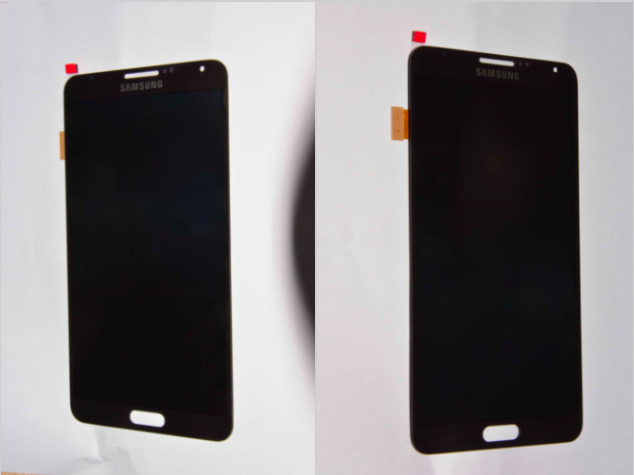 Along with the news, comes two more pieces of information including pictures reportedly of the Note III from two sources. SonnyDickson.com claims to have received some hardware that is purportedly from the Galaxy Note III screen. They claim their source is a trusted person in China with access to the parts. 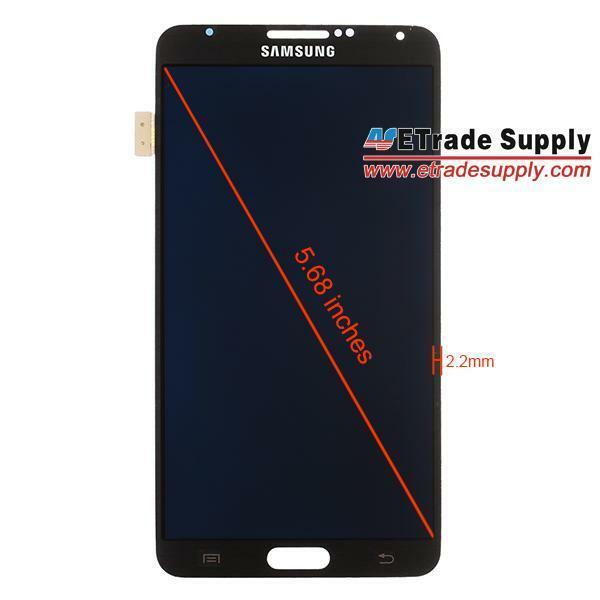 The leak echoes another series of images from Etradesupply.com which also shows the Galaxy Note III display assembly. 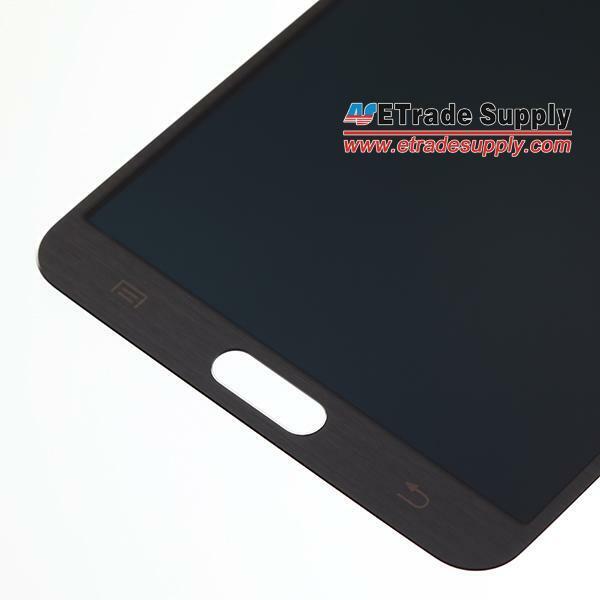 According to their measurements, the next-generation Galaxy Note III display will measure 5.68 inches. As a side note unfortunately unrelated to T-Mobile directly is the other statement Young-hee made to the Korea times confirming the upcoming arrival of the Galaxy Gear smart watch. Calling it a companion gadget for the smartphone, he declined to offer any more details. I don’t know about you guys, but I’m much more interested in something I can wear on my wrist and not glasses. Are you hoping for a Google play edition or a Google edition? Btw, if they decide to release a Google edition, the S Pen will be rendered useless. The S Pen would still work lol. The display doesn’t change because it no longer has touchwiz. The display tactics change. The software is built to recognize the S Pen. It will only work with apps for drawing ect… It won’t work for standard operations. If you have/had a note II and flashed an AOSP rom, you’ll know what I’m talking about. “LOL”. The Samsung Galaxy S4 and the HTC One that are sold in the Google Play store are called “Google Play Edition”. Here are hopes to a Wolfson dac in the T-mobile version. Who champagne color iPhone? Wow as soon as it come out I will out get one! Not! LoL! Apple could solve a lot of their issues for going for a more ample screen(4.7 seems to be the sweet spot nowadays). I just think they’re being too cheap about the whole thing, when they should be looking to sell more phones even if it slightly affects their ginormous profit margin. They could even just settle for multiple screen sizes, but I think they’re too proud because it would make them seem like they’re copying Samsung on that frontier. Then again, we won’t know til September will we? I’ve been thinking about a large screen phone, but I think I’ll wait for the Nokia 1520 to make a decision on that. I know the Note 3 is around the corner, literally, but I just upgraded to the Note 2. No out of pocket was a plus and T-mobile gave me free overnight shipping plus they put the taxes which I would have owned now on my next bill. I know it’s probably not a huge upgrade from my S3 but having a larger screen phone with its own dedicated stylist I think is pretty cool. I also upgraded to the jump plan so I can always upgrade later without having to wait another 2 years. Ha ur joking. I had a s3 then I switched to the note2. What is inside this thing that makes it special? I have a note II, but if all it offers is a slightly larger screen, they have not sold me on the upgrade. Can anyone offer factual info on what the upgrade is? It’d be foolish of Samsung not to just do what essentially the Note 2 was vs the S3. If they do that with the Note 3 in comparison to the S4, hopefully we’ll get that 13MP camera along with the essentials that usually come with upgrades (bigger battery, newer version of Android and of course the slightly bigger screen). While I have no proof of this, I’d bet a large amount of money all the aforementioned features will be improved from the Note 2. My guess is the Note 3 will be like a large S4 with possibly a faster processor and a few extra features that are probably more of a gimmick than something actually useful. I definitely expect the same size 13mp camera and a larger full 1080p screen. Rumors did mention 3gb of ram but who knows… it’s a possibility considering the LG G2 is said to offer that much. Even though I know it’s coming out I still upgraded to the Note 2. I know most reviews of it, people really like it. So while it’s not the latest model available come the next few days, I think it will be good at least for the next 6 months. Note 3 will have the exynos 5 octa-processor. 4 of which will run a15 architecture and 4 will run a9 architecture. Better battery life and much faster computing power. That is the biggest feature. 13mp camera is nice but Samsung doesn’t go big on imaging processors or anything. I really like the physical button. Please do not do away with it. I don’t agree with your wording, but I do agree with your sentiment. I don’t like the physical home button on Android devices, either. Because the “Note the Date” hint was super subtle. Why didn’t T-Mobile get the Samsung Mega 6.3? So Wednesday is the big day for Samsung. Lets hope they don’t try to have some off-broadway bad acting skit this time. Wow ! I might really be waiting for the Note 4 ! If you own a Note II like me and have literally gotten a new device every 6-12 months…..this speaks volumes on how great the note 2 really is!.Let the Note4 be SUPER!